Collects Fantastic Four (1961) #11 and Annual #3; Amazing Spider-Man (1963) #96-98 and Annual #5; Daredevil (1964) #7 and #47; Silver Surfer (1968) #5; Thor (1966) #179-181; Marvel Premiere #3 and material from Captain America Comics #3 and #16, Suspense #28, Amazing Adult Fantasy #11, Amazing Fantasy (1962) #15 and Spectacular Spider-Man Super Special. Celebrate the career of a true Marvel Visionary! In the days before World War II, a teenager named Stanley Lieber ran errands in the Timely Comics offices. Soon, “Stan Lee” published his first story — and before long, he was running the show! 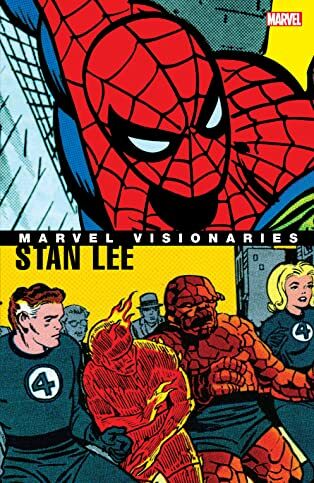 In the 1960s, Lee and Jack Kirby transformed super hero comics with the Fantastic Four — whose success sparked a line of smash hits that created the Marvel Universe! 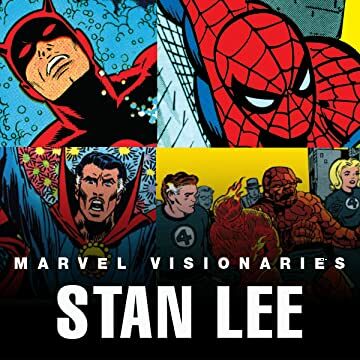 Presented here are some of the greatest stories written by “The Man,” from rarely seen tales from Lee’s earliest days to unforgettable adventures starring his most iconic co-creations with Kirby, Steve Ditko and others — including the FF, Spider-Man, Thor, Silver Surfer, Doctor Strange and Daredevil!